Vintage race car decorations to create a retro race car birthday party, race car baby shower boy celebration, or an extra special 1st birthday boy race car birthday theme! Race cars in this kit are customizable. So, you may add a number to your race cars (an age for a race car birthday), or add a baby's initial or 'B' for 'Baby' for a race car baby shower! If you are planning a race cars party theme, these sweet vintage boy birthday or boy baby shower decorations are the ones to open your guests' eyes with wonder and delight! These sweetly illustrated vintage race car decorations are one-of-a-kind party decor illustrated and designed by a New York Times bestselling children's book illustrator. This race car party printable kit is an INSTANT DOWNLOAD! After receiving your order, a link to this You Make Do party pdf printable download will be automatically e-mailed to you on your receipt. 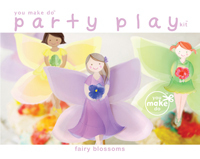 Begin printing as many party printables as you wish right away at home or at your favorite copy or print shop! - CUSTOMIZABLE race car banners. Add a name or message! Simply click and type to add your text with the simple instructions on your instant download page. Race cars on banners are customizable too (add a birthday age to your race cars, a monogram, or "B" for "Baby" if making these for a baby shower! Banners are 6.3" wide x 9.7" tall. One banner prints per 8.5 x 11" letter size, or A4 size, white card stock or paper. Print a welcome banner, gift table banner...as many banners as you wish! - CUSTOMIZABLE oval race car cupcake toppers, cake toppers, or treat toppers. Add an age, initial, or "B" for "Baby" to customize your race cars! 3.5" wide x 2.75" tall. Print smaller if you would like by simply adjusting your printer settings to print any smaller scale you wish! 6 toppers print per page. - CUSTOMIZABLE welcome signs, food table signs, place mats, or game station signs. Add any text you wish and create as many different signs as you need. Signs are 11" wide x 8.5" tall, or A4 size outside of the U.S.
- CUSTOMIZABLE 3" round vintage race car party circle labels in a vintage logo style. Use for cookie favor bags, food picks, favor tags, and more! 6 party circles print per page. - CUSTOMIZABLE water bottle wrappers, drink labels, or soda bottle labels. Add name, age, initial, "fuel", "gasoline" or other custom text. Two color schemes included—3 styles of vintage cream labels and 3 styles of vintage charcoal color labels with customizable vintage logos. 3 wrappers print per page. - CUSTOMIZABLE red race pennant straw flags to top straws. Guests will love these fun table favors at their place settings! Add names, messages, an age, or initial! Each flag is 1.5" high by 3.75" wide when wrapped around straw. 6 flags print per page. - CUSTOMIZABLE race car party tented cards to use as place setting name cards, food table food labels, game station labels and more. 4 retro designs included to print as many as you wish. Each card is 4.5” wide x 3.5” tall when folded. 2 cards print per page. - CUSTOMIZABLE race car party favor tags or thank you tags. Kit includes 3 different designs as shown (print as many as you need). Customize the car numbers with a birthday age, or add a letter monogram (or “B” for “Baby”) if you are creating a race car baby shower theme. Customize your own message at the bottom of the tags in any color, size, or font, or use the pre-customized "Thank You" text included for all 3 tag designs. Race car tags are 2.5" wide x 5.6" tall. Adjust your printer settings to print a smaller percentage if you wish. 3 tags print per page. - CUSTOMIZABLE customizable retro gas pump sign. Use this vintage sign for a food station sign, door sign, or game station signs! 8.5” wide x 11” or A4. Prints one sign per page. - Pinwheel party favors or pinwheel table centerpieces. Pinwheel centers have race flags. Pinwheels have retro dot and stripe patterns on both sides to coordinate with your decorations. Pinwheels are 4.5”. 2 pinwheels print per page. - CUSTOMIZABLE race car thank you cards and coordinating customizable envelopes. End your guest-wowing race car party with the perfect thank you cards. Cards can be digitally customized before printing, or handwritten after printing. Click and type to add your return address and guests’ addresses to the envelopes before printing for quick and neatly presented envelopes. Simple envelope assembly. 2 flaps marked for a swipe of glue stick. Guests will be amazed these cuter than cute envelopes are handmade! Thank you cards flat and are 5.5” wide x 4” tall. 2 thank you cards print per page of white card stock. 1 envelope prints per page of white paper. 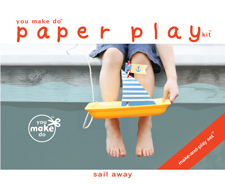 - Patterned papers to add your own creative flair! Print these patterns on the reverse of any of your printables, use to wrap small party favors, use for a party craft activity. Use to make any other decorations you wish! Includes red dots on cream, cream stripes on white, cream dots on white, red stripes on white, and grey houndstooth on white. Each patterned page prints one full page. - CUSTOMIZABLE race car pennant party favors. Guests will have a fun flag-waving time with these race day pennant flags. They dress up place settings or are a delightfully welcoming hand-out to arriving guests! Add names, messages, birthday age, or any text you wish! 3.75” tall x 9” wide. 2 flags print per page. - CUSTOMIZABLE race car cupcake wrappers include 3 patterns with race flags and 3 patterns you may customize. Add a birthday age, monogram, or “B” for Baby for a baby shower!